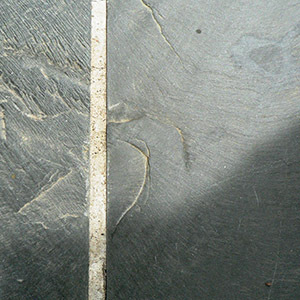 With so many different types of paving stones on the market, how do you pick the right one? Here we have listed the pros and cons of many, from the perfect and honed granite providing a contemporary feel, to riven textured Indian stone making the garden feel much more rustic and natural. 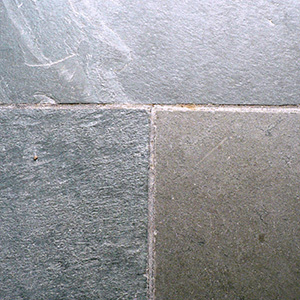 Granite is known for being hard-wearing, and this is because of the density of the stone. All the molecules that make up granite are more compressed than in most other stones. The top surface of granite is flamed, which provides a textured finish. This is not always noticeable to the eye, nor when you walk over the stone, but if you get close enough you will see the slight undulations. This means that while it looks perfectly smooth it still provides enough grip so the stones are not slippery, which is especially important when wet. There are a few colours to choose from, including silver (which is almost white), mid-grey and dark grey. Our recommended colour is mid-grey; silver shows the dirt up far too easily, and it’s the same with dark grey. Dark grey and silver can also be a little dominating, whereas mid-grey is more neutral, and fits in any garden design nicely. The only drawback with granite is its cost, as it costs far more to buy than cheaper alternatives like sandstone. 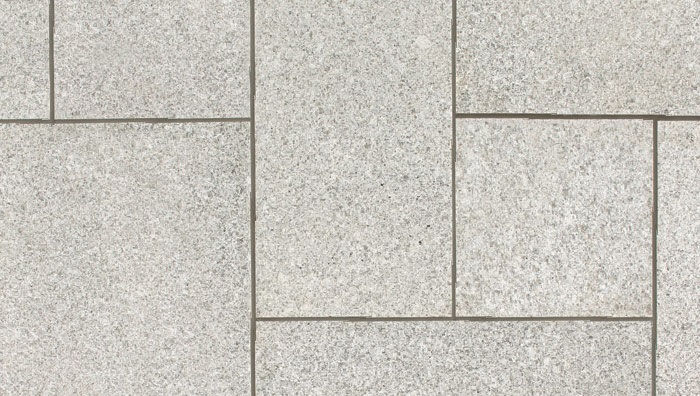 Granite is also a lot more labour-intensive than sandstone and precast paving stones. 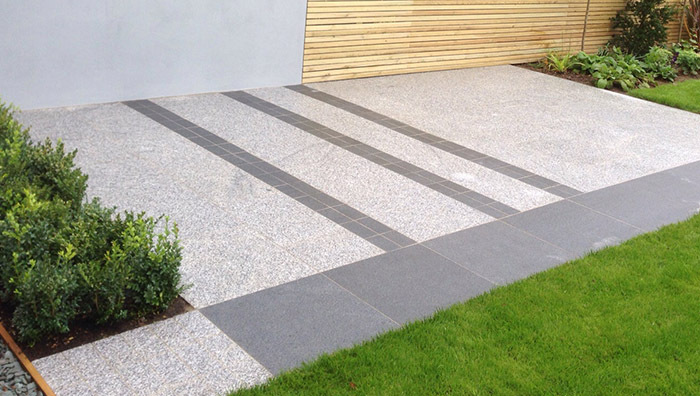 Nevertheless, Granite is still a favourite among our clients, especially when designing a contemporary garden in London. 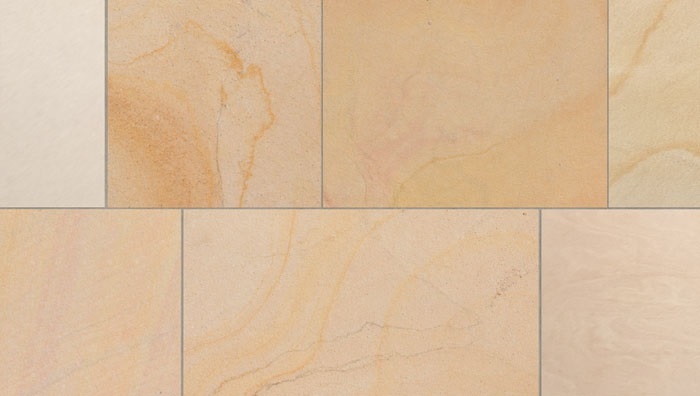 Sandstone has been a favourite among landscapers and designers for years; it is only recently that granite, limestone etc have become more readily available. 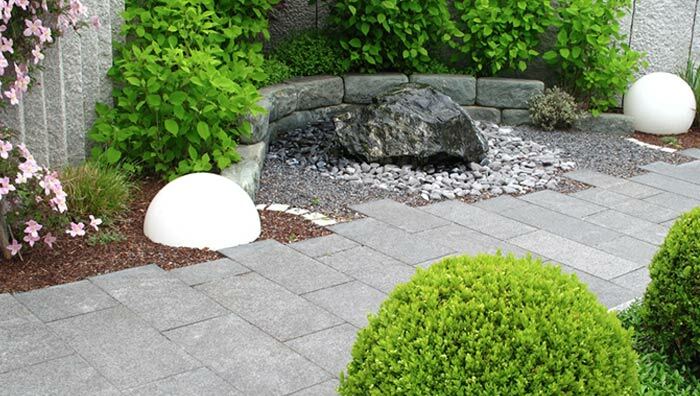 If you have a large area to pave then granite can look a little tiresome, due to how each stone is exactly the same as the next. 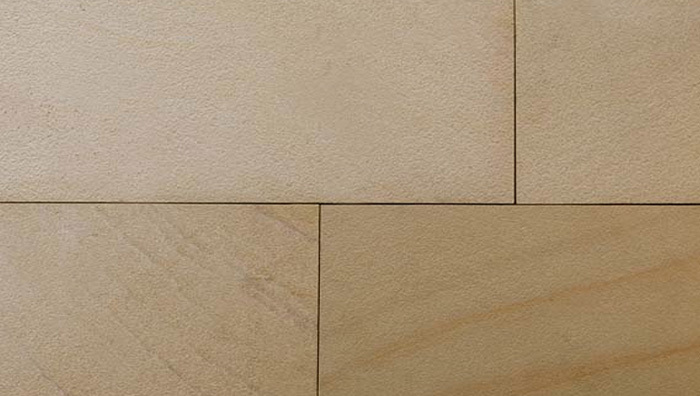 Alternatively, each sandstone block can tell a story; they have different lines, different undulations and different shades. Each patio is unique and there are many different shades to pick from. The three main colours are grey, yellow (sandstone colour) and autumn brown. 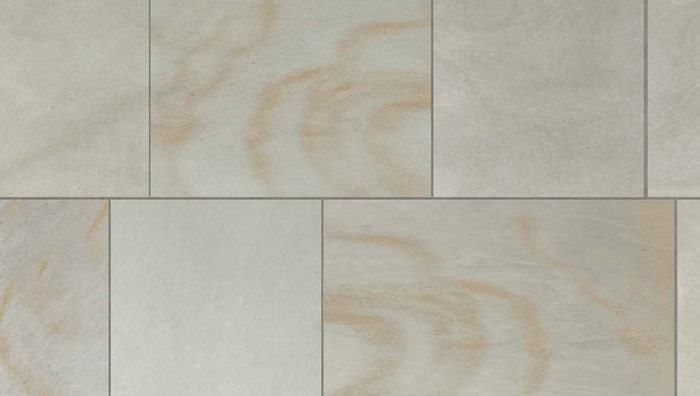 Grey can be used in a contemporary design or something a little more rustic. The colour variations between each stone are much less than the yellow or autumn brown. Try and get the joints as small as possible; the cheaper version of this stone has bigger joints. A yellow patio may not seem too enticing at first, but this colour does work well with Mediterranean gardens and combines well with bamboo and palm-like plants. 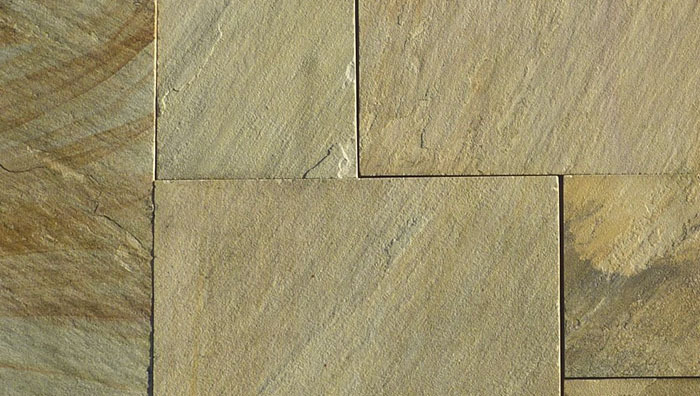 The yellow looks good in rustic gardens, too; this is mainly due to the texture of the stone and the variation in colour between one paving stone and the next. Autumn brown is a favourite in both rustic and family gardens, where the patio is not designed to be contemporary. 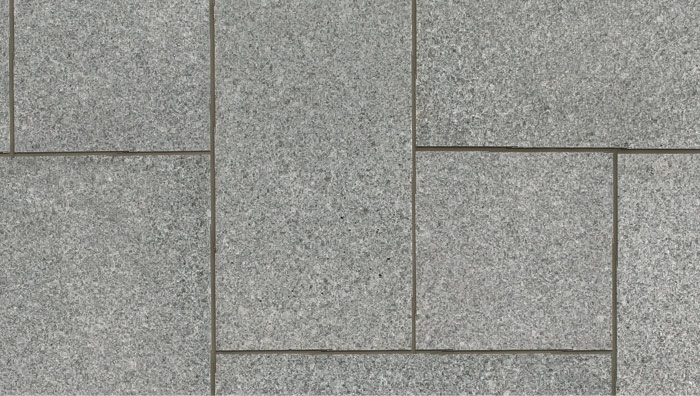 Because of the unique colours within this range of paving it can look lovely on a large area; any other colour just wouldn’t work, as grey would be too dull and yellow too bright. 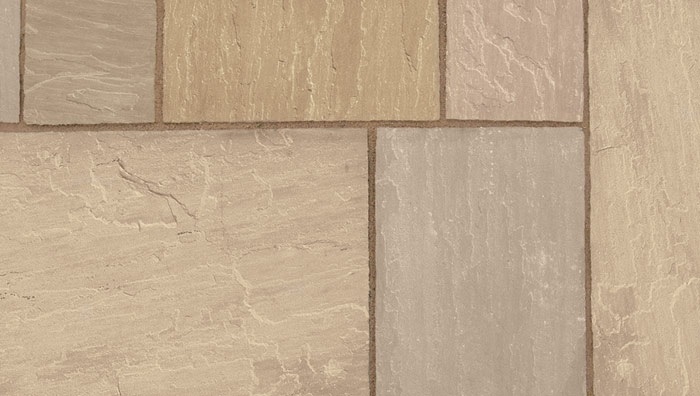 Also, make sure that the joints are as small as possible because if you opt for the cheaper grade of stone you will end up having large, unsightly joints. The only downside with sandstone is that it is very porous, so make sure you own a pressure washer. 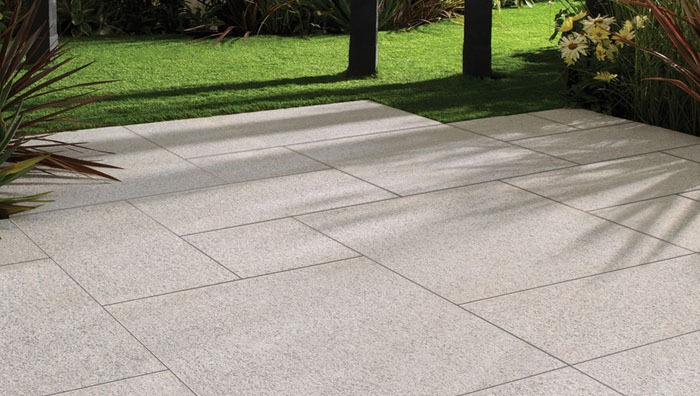 If your garden is north facing then you may have to pressure wash your paving four times a year; this may seem a lot but even if you have granite you will still have to pressure wash at least twice a year. If you are south facing then you will have to pressure wash twice a year to remove the algae. 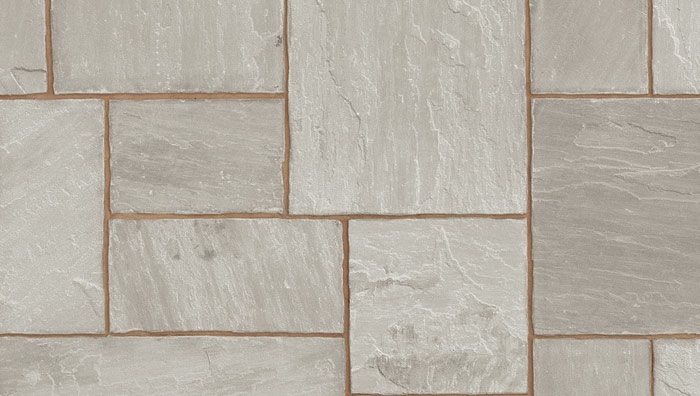 One major consideration is also cost, as Indian sandstone paving is much cheaper than granite and limestone. It also takes a lot less time to lay than the aforementioned paving stones, therefore it is much cheaper. 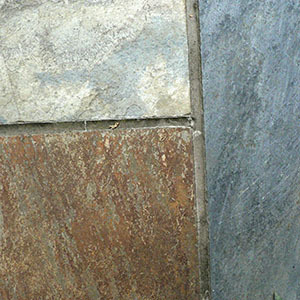 Slate can be used in both modern and rustic garden designs. In a modern garden, be careful that the stones have been calibrated so that when they’re laid, the spaces between them are equal. In a more rustic garden this is not as important; we have even installed some gardens where we have cut the stones to make joints uneven, which adds to the naturalness of such design. 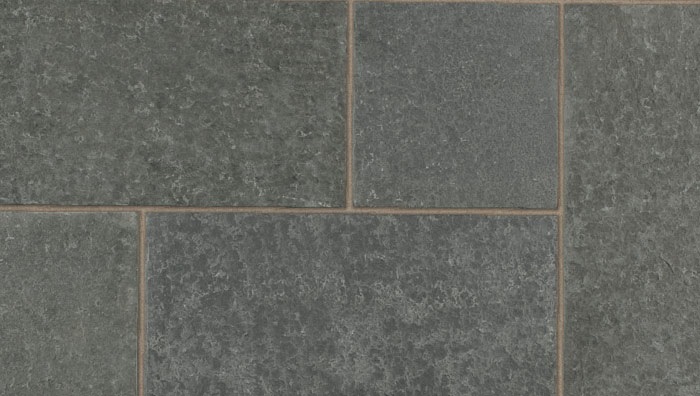 Slate can be a little slippery, as it does not have the textured finish of granite or the riven Indian sandstone. This is of special significance if you have young children or if the patio is going to be used by an elderly person.